If you’re looking for a local to root for in next week’s U.S. Open, there is one guy – and he’s quite the Cinderella story. Of the six area golfers who teed it up in section qualifying on Monday, only Michael Tobiason Jr., 27, from Wilmington, a teaching pro at Applecross Golf Academy at Applecross CC, played his way into the Open at Congressional CC in Bethesda, Md., beginning next Thursday. Tobiason punched his ticket to the Open with stellar rounds of 69-66=135, at Woodmont CC in Rockville, Md., leaving him T-3rd among 112 hopefuls who were vying for 10 spots. Here’s the best part: Not only is this Tobiason’s first U.S. Open, it will be the first PGA Tour event he has ever attended, let alone played in. "It feels good; the hard work is finally starting to pay off," said Tobiason, reached on his cell phone Thursday. "Professional golf is sort of a roller coaster ride. It’s nice when you see one of the little guys get in there to play against the best in the world." 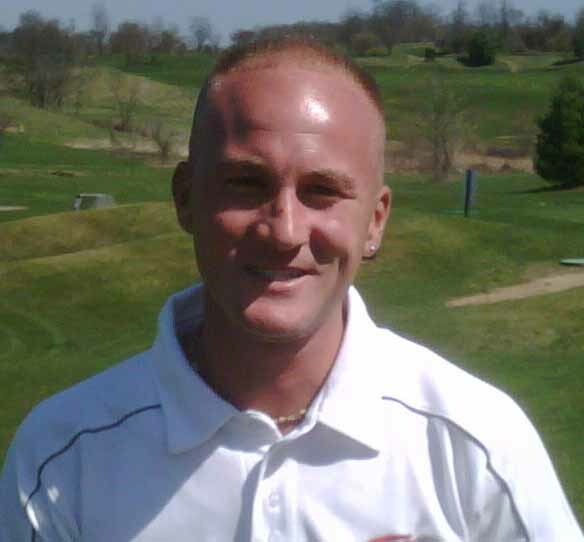 After playing junior golf in the area, Tobiason went on to be a two-time All-America at Division II Goldey-Beacom College in Wilmington, where he was Player of the Year four straight years in the Central Atlantic Collegiate Conference, beginning in 2003. Since then, Tobiason has taught at Eric MacCluen Golf, which is now based at Applecross Golf Academy. Tobiason has spent the past three winters in Florida, notching eight wins on the mini-tour circuit as he chases his dream of one day playing the PGA Tour. Qualifying for the Open is a bit bittersweet for Tobiason, coming as it does a year too late for his dad to witness his biggest success. "He believed in me every part of the way," Tobiason said of his dad, Michael Sr., who lost his battle with cancer last year at the age of 60. "I know he will be there every step of the way. He lived a good life, and he lived it to the fullest." Tobiason is so new this level of competition, there is no one he can call for advice or insight into what to expect – none of his friends have made it to the Tour ahead of him. To date, the best mentoring he has received has come from former Tour player Al Besselink, who took him under his wing one winter in Florida. "Al helped me not just with my swing but with my mind," said Tobiason. Speaking of which, Tobiason knows he is about to strut onto the biggest stage in golf, and he fully expects a bad case of butterflies. "But those butterflies are what make you feel alive," he said. "You just have to get used to it. You have to rise to the occasion, and that is what I plan on doing." As for a game plan for the Open, Tobiason doesn’t want to try to over-think things. He want to stay in his normal routine as best he can, enjoy the moment and play his own game. "That’s what I said this past Monday (at sectional qualifying)," he said. "If I go out and play my game, I will have no trouble getting in, and that is what I did." His expectations for net week? "Aim for the stars," he said. "My expectations are high. You’ve got to set them high." Among the locals who did not qualify for the Open were Sean O’Hair, 28, from West Chester, the PGA Tour star who has been struggling of late. After missing the cut at the Memorial Tournament, O’Hair hung around for the sectional qualifier in Columbus, Ohio, where he shot 4-nder 68 in the morning at Lakes G & CC but even par 72 in the afternoon at Brookside G & CC, missing by three shots. Complete section results. This will be the first major O’Hair has missed since the 2008 Open at Torrey Pines, when he withdrew after being injured in an auto accident back home in West Chester several days earlier. In four Opens, O’Hair’s best finish was T-12th last year at Pebble Beach. Other locals who failed to make it out of sectional qualifying were Christopher Gold (146) from Haddonfield and Michael Kania (152) from Haverford. At Canoe Brook CC in Summit, N.J., Billy Stewart from Devon missed by seven shots, shooting a total of 145; Chris Gray from Newark, Del. (150) and Jonathan Rush (152) from Yardley also came up short.